Nuno is a IT Pro, Windows blogger and passionate about Microsoft technologies. He is an author & Owner at IT-online Blog since 2009, where he covers Microsoft Technologies and products like Windows, Windows Mobile, Office, Xbox and many others. 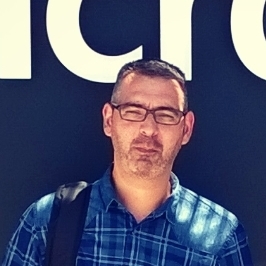 He also writes technical articles about Windows 7, 8.x and Windows 10 in his Blog and collaborates in another Portuguese tech site called Wintech. In 2012, he started recording short video tutorials mainly about Windows 8 and 8.1, to share in a Youtube channel called 120 Segundos. In 2014, Nuno was invited to become an author at the Portuguese E-Magazine "Revista Programar". He loves to help others by sharing his expertise knowledge in troubleshooting various issues related to Windows Desktop Experience. He is also an active Community Contributor at Microsoft Answers and in two Facebook Groups called "Microsoft Group Portugal" and "Windows 10 Portugal". Nuno has been a Microsoft MVP for the period 2014-2016 and is currently a Windows Insider MVP.